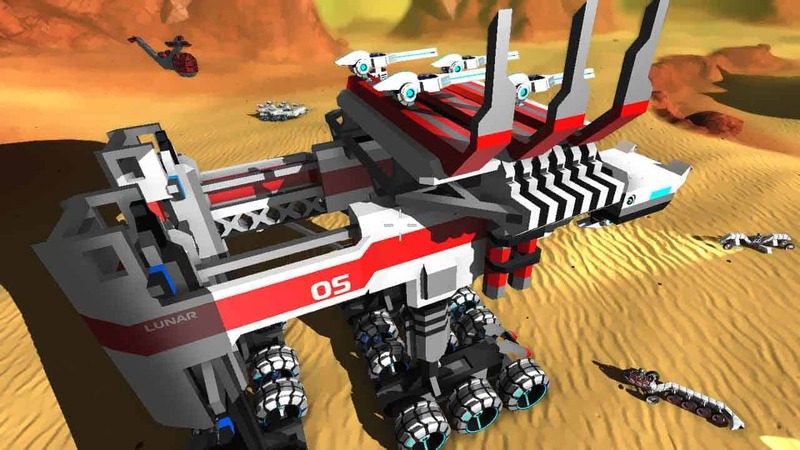 Full Spectrum Combat is the name of the latest title to join Freejam’s explosive robot construction and combat MMO, RoboCraft, introducing 16 new colors for players to decorate their greatest creations. New coloring features have also been introduced, allowing players to use mirrored painting or instant full robot color to either mimic shades or completely cover a robot in a single color style. Freejam previously announced that they would be phasing out the current tier system in favor of a new system that allows for more freedom and variety of play. Battle Arena, Team Deathmatch and The Pit will now be available for all players, where previously they were only available once reaching a certain level. The end goal is to allow all players, both new and old, to play together without causing any serious balancing issues with teams or equipment. The Unity 5 engine has also seen an upgrade which will allow Robocraft players to enjoy a smoother experience with improved framerates and optimization.